Dive into the wild world of sharks! Get up close to learn the truth behind these fantastic, ferocious fish. 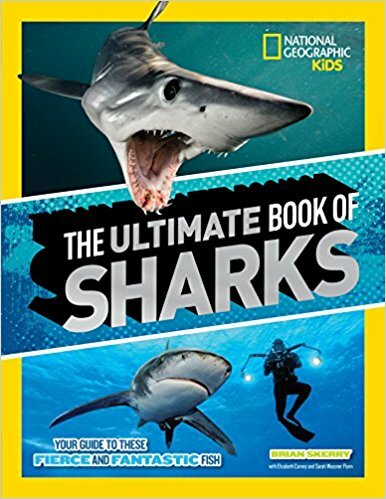 The Ultimate Book of Sharks features every species of shark on the planet, with awesome photos, fascinating facts, the latest science, and firsthand stories of real-life encounters with these incredible creatures. Learn how sharks live, how they eat, the challenges they face, and whether or not you are actually on the menu! Join this amazing underwater adventure to track the sharks of the world, from the teeniest dogfish to the everfeared great white. Stay on top of what Brian’s doing and where he’s appearing. © 2017 Brian Skerry, All rights reserved.